Enter the very first cocktails we made when we got our new bar area. The ever so popular Moscow Mule! 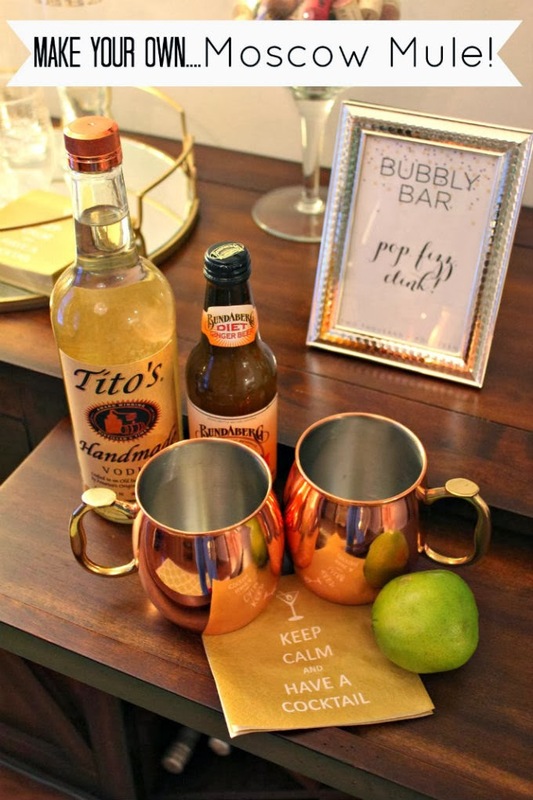 It seems like these cocktails are all the rage lately and since we found a great deal on these awesome copper mugs, we figured why not give them a try at home. They were a nice change from my normal glass of Pinot Noir and are so refreshing! Pour vodka and lime juice into a mug. Add ice cubes and ginger beer (we bought this type from World Market). Stir to combine. Drop a mint sprig into the mug for garnish. *Tip: Crush up your ice as much as you can. It's better when it's really crushed. Also, these can certainly be made without the copper mugs and in normal glasses, but they do totally give it an extra somethin' somethin', so if you can get them do it! We plan to use them for other cocktails as well. I'm off to pretend I'm back in college again celebrating thirsty thursday's (seems like forever ago, ahh!) with one of these...who's with me? You can see my bar cart essentials here! 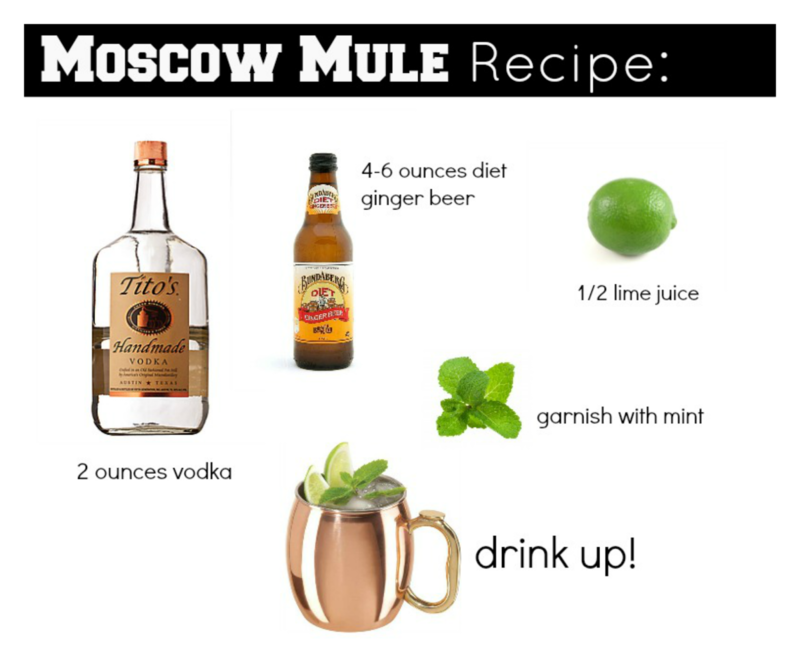 I love Moscow mules, and they do taste so much better in a copper mug! Yum! I love Moscow mules! I did have a few too many a couple of months ago and wasn't feeling so hot in the morning...happened to spray my Aveda hairspray which has a ginger smell to it.....wasn't a good situation ;-) Those mugs totally make the drink! YUM! I will have to try this out :) Titos = perfection... good choice! We make these all the time since we got our mugs. However, I can't stand ginger beer so we make ours with ginger ale. I need to try the ginger ale, good idea! Real drinkers don't drink DIET! Gross! I just got these mugs for Christmas and can't wait to try them out!! So yummy! I work at a restaurant and we call ours the Austin mule, since it's made with Tito's! I love this!! I totally want to have a bar cart, and I think this would be perfect for it. I love them but use Makers instead of vodka. Moscow Mules are my all time favorite cocktail! You have me craving one something fierce! Cheers!